​Private Sessions can be helpful for new puppies, general training, or problem solving. I am available by appointment on certain weekdays, weeknights and weekends. Every situation is unique. Every dog is different, and every lifestyle is different. I take that into consideration when I am working with your family and your dog. It is difficult for me to determine how many visits will be needed to address your issues by telephone or email. I don’t have a magic wand (I wish I did!) so I can’t “fix” your dog in an hour. Training your dog takes time and patience, and nothing happens overnight. 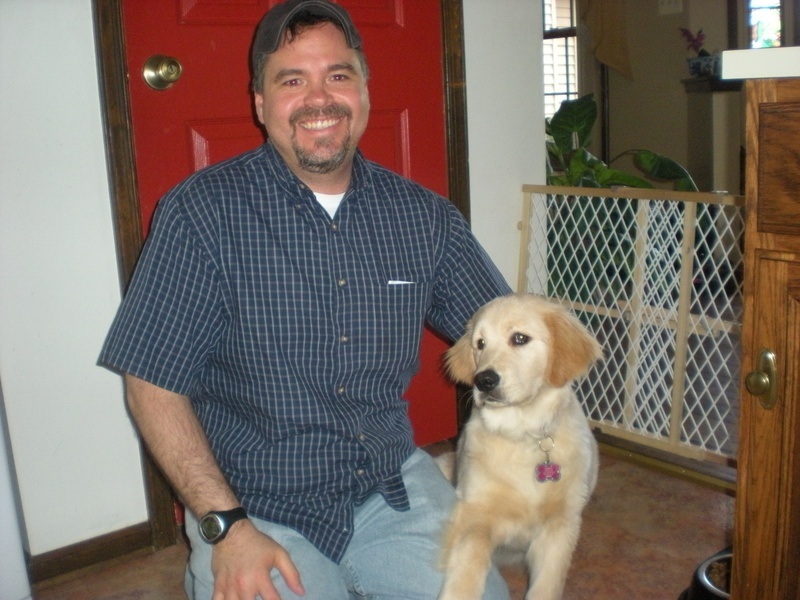 The first session I answer your questions and show you how to work with your dog. I address your main issues first. Keep in mind that there may be some foundational issues that need to be corrected, which in turn, will help your main issues. I will teach you and your dog the necessary skills and it will be up to you to practice them. At the end of the first session, we will discuss a personalized training plan to meet your goals. Since every situation is different, I believe in flexibility to accommodate your specific training needs. I have many owners who combine both private and group training. I am here to help you any way I can! Please keep in mind many issues that need to be addressed will require more than two visits. If a package is not purchased, each subsequent visit will be charged the $125.00 hour and a half rate (after the 2 session package minimum). ​I prefer checks or cash for private visits. However, you may pay via the online option if it is more convenient for you. I offer private training sessions in my classroom at the Montgomery County 4H Center in Skippack. ​If your dog needs obedience training or help with behavioral issues, my classroom offers a safe environment away from home. This is an excellent option for those individuals who live outside the Harleysville area. This type of private dog training allows me to observe your dog’s lifestyle and behavior in real time. Video training can be used for specific issues, questions, manners and obedience training! This was a very fun in-home visit with Sandy, her dog, Bowie and her two goats Bowie was fixated on the goats and was constantly chasing them and barking at them. Of course! Why not??? Goats are to be herded right??? Meet Jose and his beautiful Golden puppy April! She is a lovable teddy bear! April lives with a family in Upper Gwynedd who are first time dog owners. I explained to them how to create good habits with April now, so bad habits don't have to be broken later. At the last report, Jose was very pleased with how she was progressing. They also learned that meeting Bella's needs made a huge improvement in her behavior all around. She is a sweetie and she will make you laugh and smile! 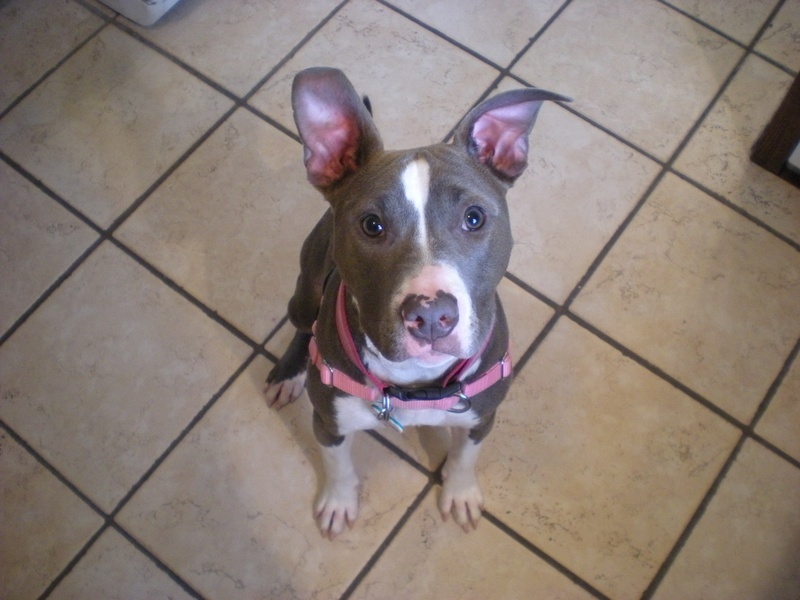 She is a rescued Pit Bull who lives with a family in Lansdale. She is this family's first dog and they were very happy to gain a better understanding of how dogs think and learn, and how easy it was to teach Bella what they expected of her. Bella is very smart, and picked up on new information quickly. 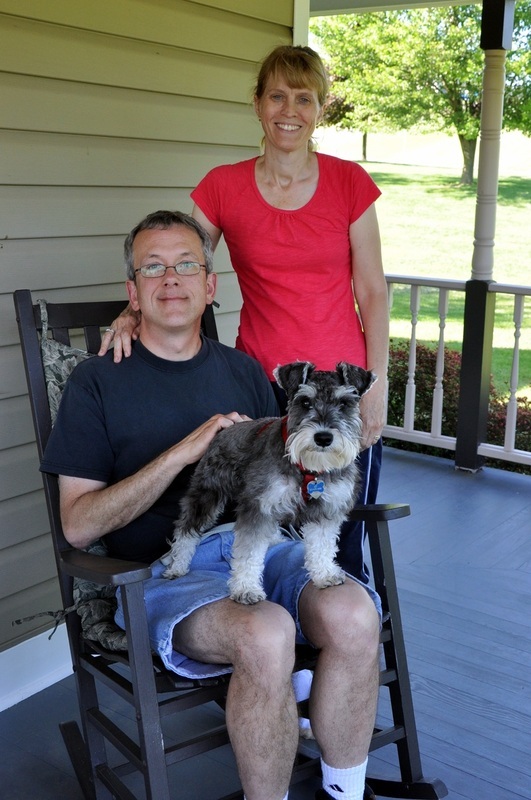 Mark and Gail and their dog Doc! Doc is a bold, sturdy, confident little dog who learns fast and loves to chase tennis balls! I met with them many times at their home, first to build a foundation and then to progress into more advanced training. They were happy to learn that being patient and waiting for him to perform the expected behavior really paid off.